During high school, you think to yourself what do you want to make of yourself when you are graduated and moving on to your next chapter of life. College is a big stepping stone for up and coming young adults. Skyler knew what he wanted and knew the next step to making his dream and hobby a success. Smith explained his future and what he expects to happen in the next few years. He directly answered without hesitation of what exactly he wanted. "Going to YSU for business. I want to continue looking forward to my DJ career on the side to earn some business and to help with school, but want to focus on school more directly for my future," said Smith. Going for a degree is an accomplishment in itself but Smith wants to do more with it, in the future. 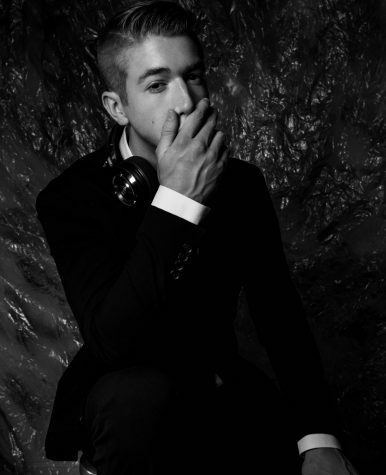 "Using my Degree to enhance the business side of my DJ career could be a huge benefit to expand my company," said Smith. Smith started to express more ideas along the lines of what he could do with what's next for him. "After I would graduate from YSU and start using my skills in business and in what I know from being a DJ, I'd like to push music production to get into the next level of what I know I could accomplish," said Smith. Smith is anticipating his future to the fullest, knowing what is there and what is going to come of it. "I am excited for what's going to come from all the hard work I've put into this," said Smith.